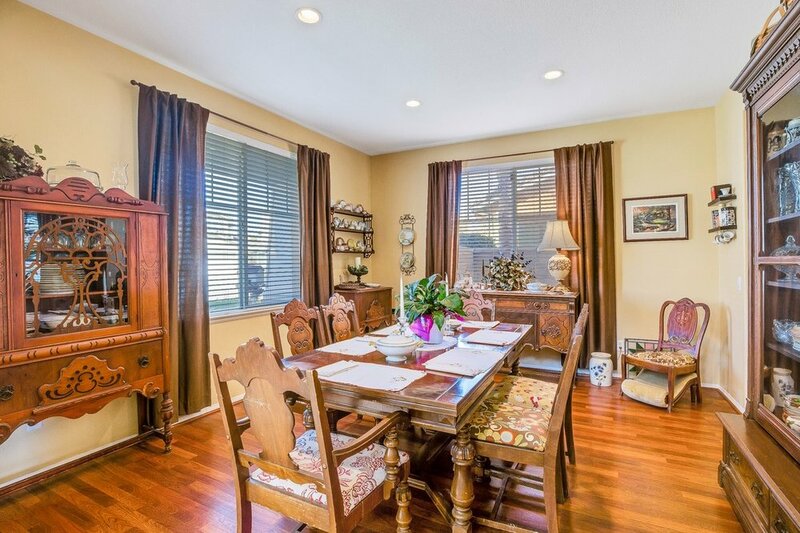 Welcome to your gorgeous two story home in the beautiful City of Eastvale. This lovely 2,980 sq. 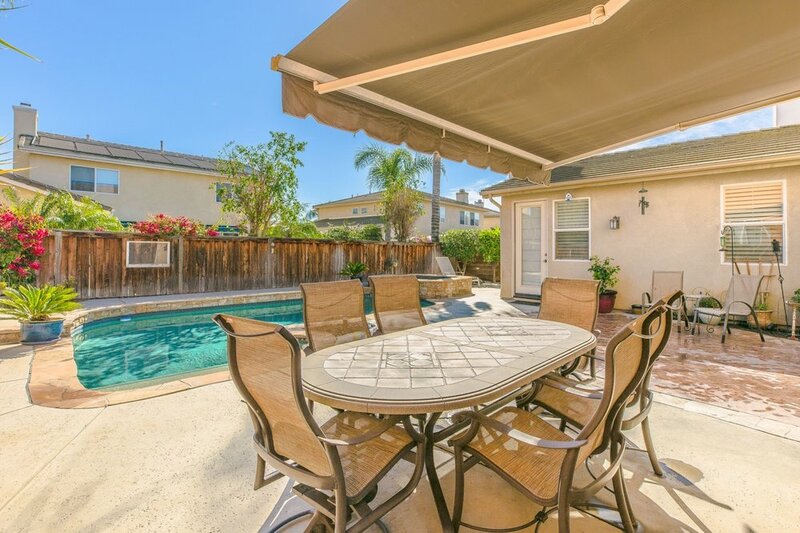 ft., 4 bed, 2.5 bath home is conveniently located near award winning schools, parks, freeways and shopping centers. The large kitchen has a corian island, upgraded cabinets, double stove, and additional storage space in the butlers pantry. 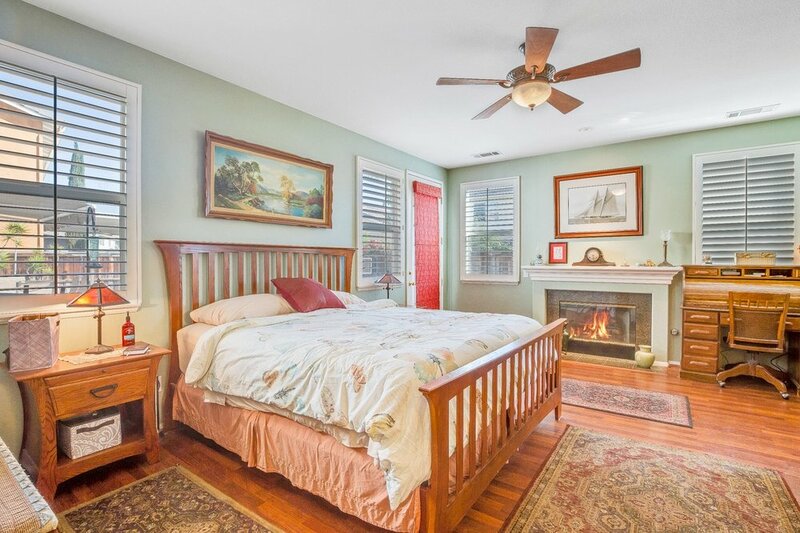 Large downstairs master bedroom has a gorgeous fireplace, huge walk-in closet and beautiful French plantation shutters. You can also step out of your master bedroom to the tranquil soothing sound of a waterfall in your custom-built pool. Ceiling fans in family room and all bedrooms. Enjoy tile and hardwood-like laminate downstairs, and carpet upstairs. Move in ready, perfect for many family gatherings.